Man Vs Machine - AI Sales BOT is here !! First AI Sales Expert 'Sellina'. Man Vs Machine debate has finally come out from science fiction to reality! Humanity has never seen technology creating such unprecedented excitement and scare, hope and despair, belief and disbelief, all at the same time ever in the history of mankind. While AI is creating ripples in every part of the business, innovation, and life, here is what AI has for Sales – AI Sales BOTs!! Over the past 4 months, I have met more than 175 CEOs, CIOs, CDOs, and Sales & Marketing Heads across 50+ top Indian and Global corporates while presenting our innovation on ‘AI for Sales’. Most of them believe that it will define the ‘Future of Sales’. I will try and share their excitement, apprehensions, astonishment, skepticism, curiosity, and keenness in the article below. To summarize how AI will impact Sales, I am answering the “Five Most Frequently Asked Questions on AI for Sales” during my interactions with the top business and sales leaders. Before that, for all of you who still do not know what a BOT is, here is a simple and easy to understand definition. 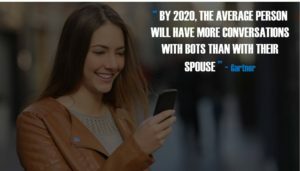 The word BOT is derived from ROBOT, especially for a software application that can do logical and repeatable tasks at a much higher rate and precision than any human being. BOTs with natural language intelligence are called ‘Chatbots’ and BOTs with other forms of Artificial Intelligence and Machine Learning capability are called ‘AI Bots’. AI BOTs can be created and trained on specific domains, specializing in solving domain specific problems. 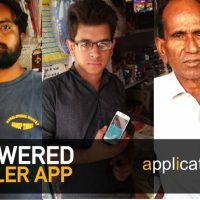 We have created ‘AI Sales BOT’ to address the inefficiencies and challenges in Sales. We have named our AI Sales BOT as ‘Sellina’. 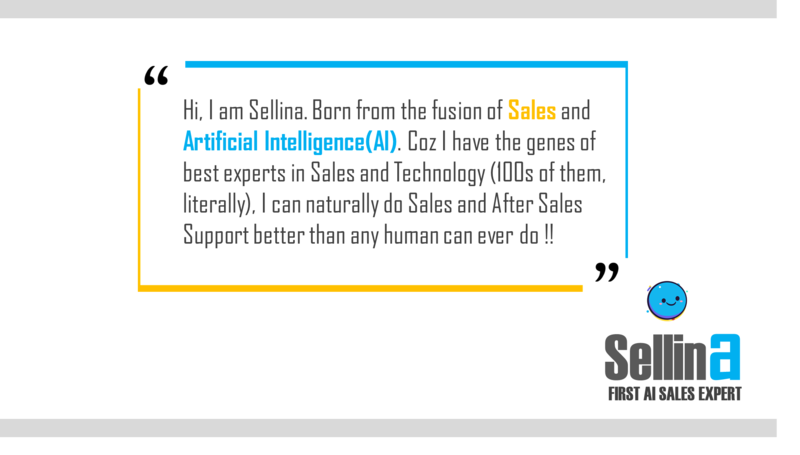 ‘Sellina’ is the first AI Sales Expert born from the fusion of Sales and Artificial Intelligence. It simultaneously assists and supervises thousands of people in Sales Team, drives daily sales target and gives actionable and timely insights and inputs to the management in a way never thought of before. Without revealing too many details about our AI Sales BOT here, I would say that we have created an intelligent machine that can reduce most of the human inefficiencies in Sales. There can’t be a better example to understand what AI can do. Sales, unlike many other functions, is driven by human efficiencies and emotions. So far, no technology has been able to address the human inefficiencies in Sales. 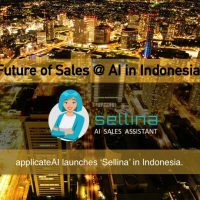 Our AI Sales BOT ‘Sellina’ works on inefficiencies like lack of knowledge, skill and capability gaps, demotivation, inconsistency of performance, quality of supervisory inputs, discipline, compliance of daily routine and execution and finally business loss due to people absenteeism, vacant positions, and unplanned leaves. Coming back to the debate of Man Vs Machine in the context of ‘AI for Sales’ and how Sales BOTs will define the Future of Sales. 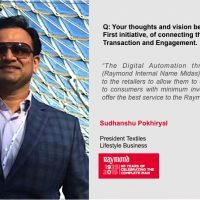 Here are the “Five Most Frequently Asked Questions on AI for Sales”, asked by the business and sales leadership during my interactions. Will AI Sales BOT replace the Sales Team, potentially triggering large-scale unemployment? I will keep my answer of each of these questions purely non-technical so that it can be easily understood by business users and decision makers even without having any technical background. 3) Will AI Sales BOT replace the Sales Team, potentially triggering large-scale unemployment? Machines can do logical and repeatable tasks better than human beings and intelligent machines can do that almost like a magic, acting like your personalized AI Sales Assistant. So, all the logical and repeatable tasks or sub-tasks, which does not require human touch and presence in Sales, can be done exponentially better by a Sales BOT than 100s of super sales guys. However, AI’s potential threat to employment is a highly debated topic with divergent views. The only certain and undebatable part of this argument is that AI will force the replacement of inefficient and complacent Sales professionals with smarter and competent ones or provide tools and training to make the sales team better. Sales BOTs will create extraordinary differentiation between people and companies using it and not using it. It will empower the teams and companies to achieve extraordinary business results in ways and at a scale not comprehended before. 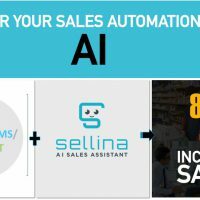 A small example, “Over 80% of the supervisory work of 100s of supervisors, handling 1000s of sales reps in a large organization can be done much more efficiently by our AI Sales BOT- Sellina”. Eventually, Sales BOTs will act more as AI Sales Assistant to the sales team rather than competing with them. 4) Are we ready for it? Does it require a high level of organization and user technical maturity? I can say with absolute certainty that it would be far easier for any user or organization to use an AI Sales BOT, than any automation they have known or seen before. It will act as your AI Sales Assistant and do things at your command. 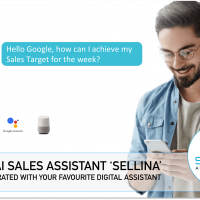 Most importantly, our AI Sales BOT – Sellina can be seamlessly integrated with your existing sales automation system, making it intelligent. And if you are not using any sales automation system, it has an inbuilt workflow of sales automation to meet all your requirements. To conclude, AI has come of age to create exponentially better solutions. You must use AI for all the technology intervention that you have or you might be doing in future. The world is moving from ‘Mobile first to AI First’. 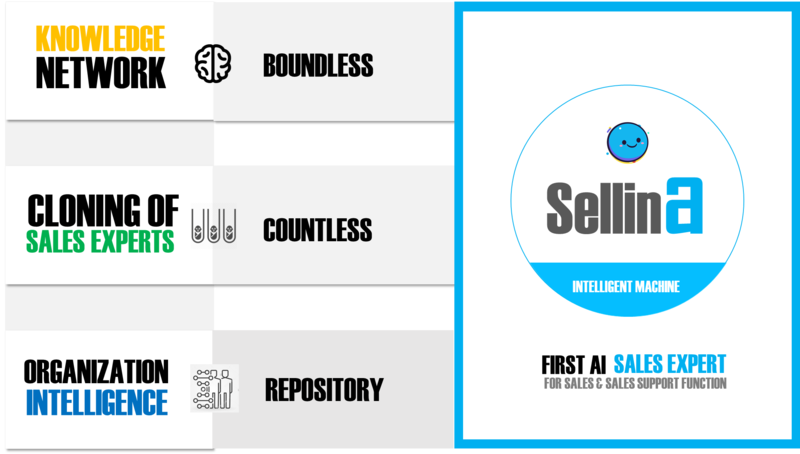 Our AI Sales BOT ‘Sellina’ is a self-learning machine, trained to become the world’s ‘Best Sales Expert’. This AI Sales Expert will assist the entire Sales Organization on anything and everything on Sales, working tirelessly to drive your sales. Iron Man has ‘JARVIS’ at his command to do all the magical things, making him a Super Hero. You can have the world’s Best Sales Expert ‘Sellina’ at your service to make your Sales Team ‘Super Sales Heros’. You can write to me at ranjeet@applicate.in for details and live demo of ‘Sellina’.